It’s very easy to get caught up in the ampler of the task at hand and the fear that comes with it. The book we’re writing, the event we’re planning, the impossible relationship, the girl that’s out of our league, the job we really really really want, the big move we’ve signed up for, they all come to intimately brush up against our fears and expose them to the limelight. When step up above the specifics, and look down on the situation, or far far into the future and look behind at the situation, when we move out of the spotlight and become the light that shines over the entirety of our lives and those of others, the paralysis is diminished. All of sudden there is breathing room, there is inspiration, confidence, we know what next step to take. We know that any step we take takes us to a better place. The key is to focus on the opportunity and possibility that the task at hand brings. What opportunities for expansion are you experiencing? What’s new about this? What have you learned? What skills do you already have that will serve you now? How have you already reached out of your comfort zone ? Where can this lead you? How grateful are you for the all the opportunities contained in this one specific experience? That focus opens doors that lead to other ones. And we can move through these doors as they open from one to the next as opposed to standing feeling like we’re knocking to be let in. 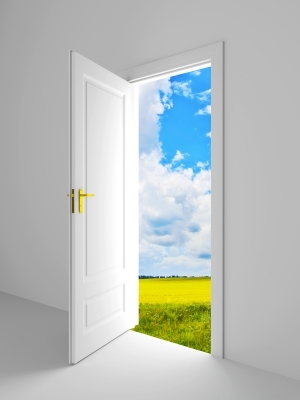 The thing about a task at hand, is if it’s in your hand now, then the door is already open. All you have to do is walk though it. So many truths in this one. Funny… been going through the same this past month. 2 peas.